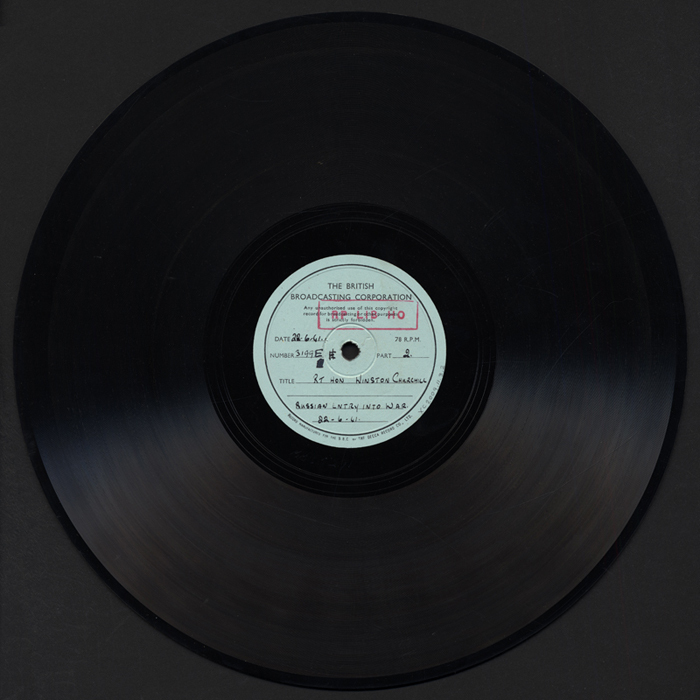 Sound disc: [Mr. Winston Churchill, Russian entry into war, 22-6-41]. [London] : British Broadcasting Corporation, [c1941]. Original mailing envelope addressed to Lt. Brecher, Army Pictorial Service. Century of the common man : two speeches / by Henry A. Wallace ; silk screen prints by Hugo Gellert.New York : International Workers Order, [c1943].